New growth after: first roots are shown after 4 to 6 weeks. 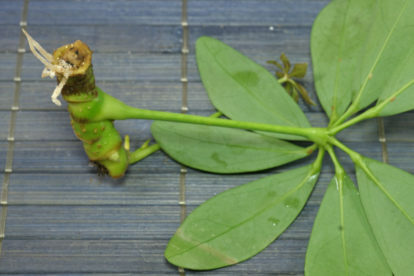 Leaves need 8 to 12 weeks. 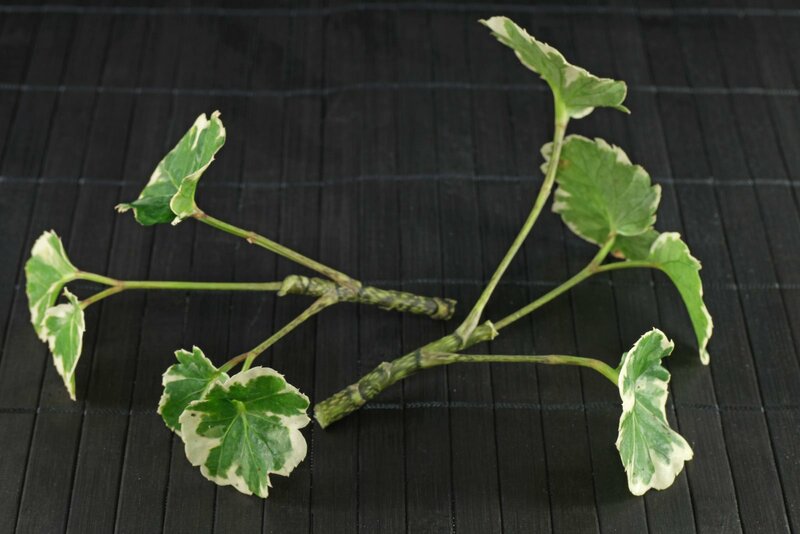 More infos: short cuttings with only one leaf are rooting. 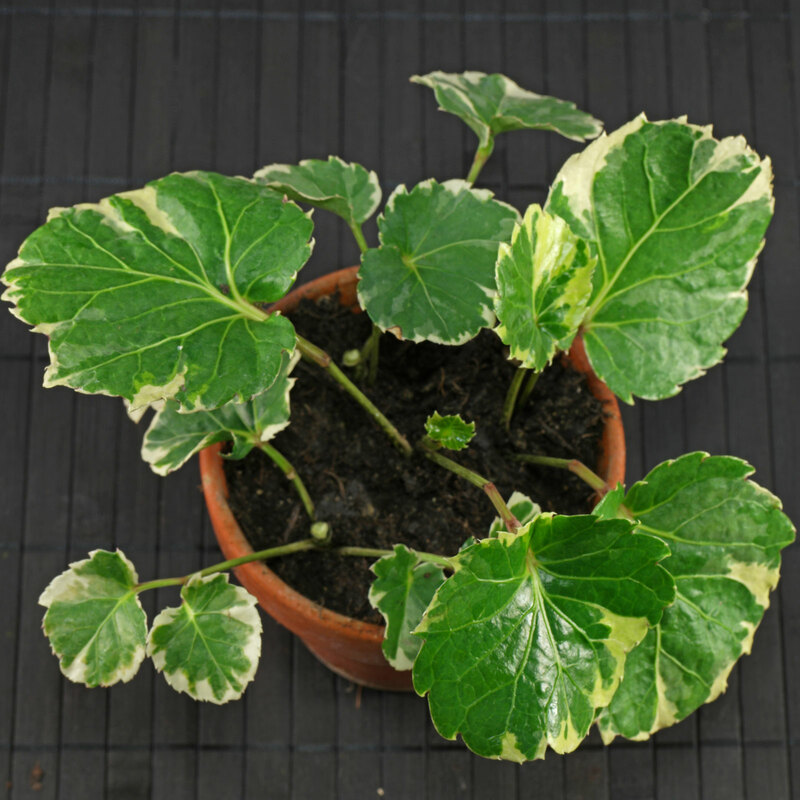 Cuttings of the green form root faster than that of the variegated cultivars. 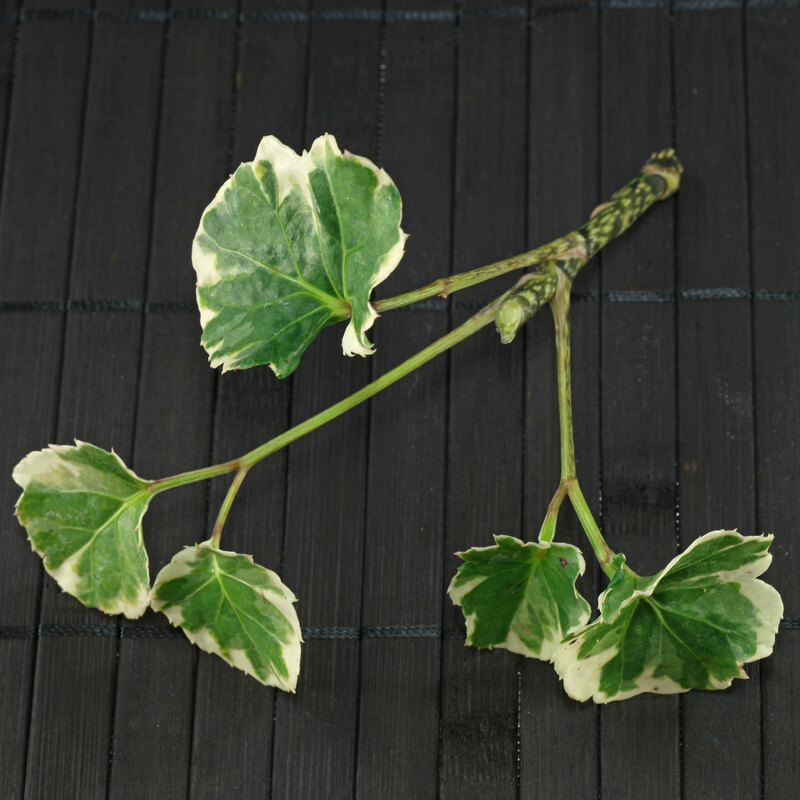 The images show Polyscias scutellaria “Variegata”.